Over the course of several centuries, China has been an integral component of international trade. 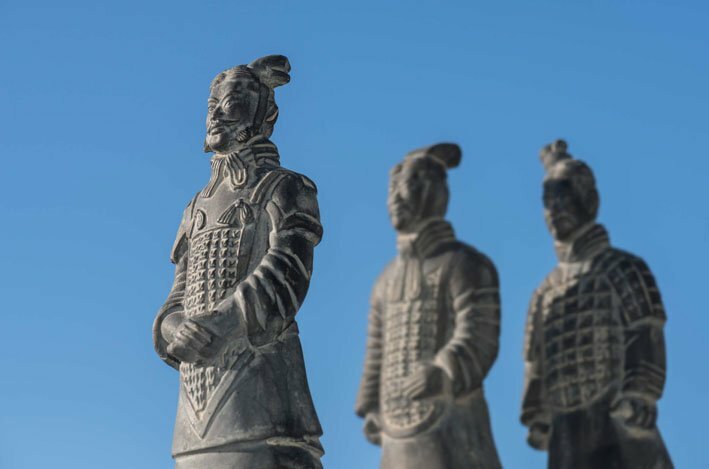 While their position in the international market was vastly different during the last centuries, it should still be understood that China trade history has had a rich record of trade within its roots. Having a rough overview will help to understand the mentality of Chinese doing business also nowadays. The name “Silk Road” is derived from the silk route primarily used to transport silk from China to the West. The Silk Road itself is a prime example of China’s steep trade history throughout most of its history. Originally in use from roughly 207BC-220AD, the road connected the Asian continent to the Mediterranean Sea. It opened up long distance trading, as well as economic and politic exchange between different civilizations. This era in China’s trade history was known as the Han Dynasty, which significantly expanded the trade of commodities along the Silk Road. The route reached peak popularity under the Yuan Dynasty however, and the route provided the introduction of woollen goods into ancient China. During this period the country was unfamiliar with flax and wool weaving, with these methods being introducing by the Mongols. The forbidden city in Beijing – not only a symbol for political but also for economic influence. Moving forward, from 1405 under Emperor Zhu Di, the country launched several ships to countries such as India, Arabia and East Africa. These ships purpose was to visit other countries on missions of trade, and the Chinese traded pottery and silk in exchange for gems, wool, carpets as well as exotic animals. This underlines how dominant China was in this era, since they had larger and superior ships, as well as more advanced technology, living standards and global influence compared to Western countries. Furthermore, China has an agriculture rich history. For over 4,000 years it was considered to be a nation of farmers. This has allowed the country to develop effective mass farming techniques with evidence to suggest extensive irrigation of the soil beginning as early as 1000 BCE. Only the success in this area allowed the large population of modern-day China. The remains of the agricultural livelihood are still seen within China today, with approximately 35% of Chinese citizens working in this sector. However, despite originally venturing the world with the purpose of trading, from the 15th to the 20th century China become much more reclusive and became disinterested in what the world had to offer. The country felt that by being the most advanced place in the world, there was nothing for them to benefit from. This approach drastically stunted Chinas growth economically in the modern era. Chinas GDP was 30% higher of Western Europe in 1820, but by 1950, represented only 1/12th. As the world starting to benefit from globalization in the early 1900’s, it left China having to play catch up many decades later. China had compared to the West until the 19th century. In the modern era however China has again become a key player globally. To overcome the strong focus on the primary sector in agriculture characterized by subsistence farming, it is emerging onto the world scene due to its cheap manufacturing core. Market reforms introduced by the government in the 1970s allowed to open up China to the world but there still much further to go. In previous years, China did not allow any foreign investment which is now changing, and the introduction of China to the World Trade Organization (WTO) in 2001 showed Chinas intent to be a key player on the global stage. The self-chosen isolation of the country was clearly over. However, the future may be turbulent for China, as their economy is shifting to a consumption driven basis and certain challenges will need to be faced. The country’s growth is slowing, and with the economy being subject to further liberalization, the changes China is making to help stimulate demand and address their falling growth are yet to be seen if they work. With facing these new challenges, returning to the old isolation policy might seemingly become more attractive again. China has effectively re-emerged, after initially being at the forefront of trade through out China’s trade history, in the modern era they have started to show the power they can hold again. The future itself is uncertain, with the economic growth starting to slow, China will need to demonstrate how they can adapt to the changes they face. Some interesting quotes from a few selected famous people sharing their opinions regarding the outlook can be found here and an overview about good sources for recent developments can be found here.